Rack of Lamb is so elegant! Perfect for entertaining. Tender oven-roasted rack of lamb, seasoned with rosemary, thyme, garlic, salt and freshly ground black pepper, and slathered with olive oil. I live for lamb chops. Juicy, tender, rare (please please give me rare), deep reddish pink, browned, crusty, herbed, fatty goodness. So when my father sent me on a mission to make rack of lamb (what? 8 lamb chops in a row?) I was all over it. My version uses a simple rub with olive oil, garlic, salt, pepper, fresh chopped rosemary and thyme. The trick is to not go overboard with the herbs. The lamb tastes so good on its own, the seasoning should complement the lamb, not dominate it. Beneath the recipe I’ve included links to rack of lamb recipes from other food bloggers, and a recipe for a breaded herb crusted version from chef Gordon Ramsay that my father likes. Do you have a favorite version? Please let us know about it in the comments. The cooking time depends on how big your rack of lamb is, and how rare you want it cooked. Rack of lamb should be cooked rare, or at most medium rare. The instructions are for a rack 1 1/4 to 2 pounds big. If you are cooking multiple racks (unless you are doing a crown roast which is a different matter), lay them out separately on the pan, and you may need to increase the cooking time. Use a meat thermometer! Many factors can affect cooking time like the shape of the roast, the fat marbling, and your individual oven characteristics. This is too lovely and tender a roast to risk overcooking. Make sure to allow enough time for your rack of lamb to come close to room temperature before cooking. Otherwise the inside will still be raw while the outside is cooked. *Typically you will buy a rack of lamb already "Frenched", or cut so that the rib bones are exposed. You can also ask your butcher to french them for you. For directions on how to French them yourself, see How to French a Rack of Lamb. 1 Marinate lamb in rub: Rub rib rack(s) all over with mixture of rosemary, thyme, and garlic. Sprinkle with freshly ground black pepper. Place in a thick plastic bag with olive oil. Spread oil around so that it coats the lamb rack(s) all over. Squeeze out as much air as you can from the bag and seal. Place in a container so that if the bag leaks, the container catches the leak. If you want, place in the refrigerator overnight. Or, if you are not marinating overnight, let lamb rack(s) sit in the rub marinade as it comes to room temperature before cooking. 3 Preheat oven to 450°F, arrange the oven rack so that the lamb will be in the middle of the oven. 4 Score the fat, sprinkle with salt and pepper, wrap bones in foil, place in pan fat side up: Score the fat, by making sharp shallow cuts through the fat, spaced about an inch apart. Sprinkle the rack all over with salt and pepper. Place the lamb rack bone side down (fat side up) on a roasting pan lined with foil. Wrap the exposed ribs in a little foil so that they don't burn. 5 Roast first at high heat to brown, then reduce heat to finish: Place the roast in the oven roast at 450°F for 10 minutes (longer if roasting more than one rack), or until the surface of the roast is nicely browned. Then lower the heat to 300°F. Cook for 10-20 minutes longer (depending on the size of the lamb rack, if you are roasting more than one rack, and how rare or well done you want your lamb), until a meat thermometer inserted into the thickest part of the meat 125°F on a for rare or 135°F for medium rare. Remove from oven, cover with foil and let rest for 15 minutes. Cut lamb chops away from the rack by slicing between the bones. Serve 2-3 chops per person. Hello! All photos and content are copyright protected. Please do not use our photos without prior written permission. If you wish to republish this recipe, please rewrite the recipe in your own unique words and link back to Classic Rack of Lamb on Simply Recipes. Thank you! My husband and I love ❤️ this recipe. I have made several times, and follow the recipe to the letter. I have even taken it to a potluck thanksgiving and had rave reviews!! It’s my go to since we eat lamb a lot. Fantastic!! DanielleMy family loved it!! I used the cooking technique with my own seasoning (olive oil, salt, pepper, herbes de Provence and crushed garlic). I removed most of the fat cap and the silver skin on the underside of the rack, applied the oil and seasonings directly to the meat and let it sit for about an hour. Followed the cook times – 450 f for 10 minutes and 300f for another 10. Temperature was 134 f. Perfect medium rare after resting for 15 minutes. I’m a little confused with the roasting technique? One person mentioned placing the rack of lamb on a rack in the oven? 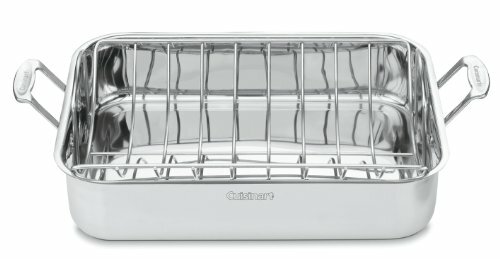 Would a cookie sheet work with small metal racks on top of it? Hi Mary, cookie sheets tend to warp at high temperatures, that’s why it’s best to use a sturdy roasting pan. Often roasting pans are sold with racks to go inside of them. You can also put the rack of lamb directly on the oven rack with a roasting pan on the oven rack beneath to catch the drippings. This set-up mimics a convection oven and allows the hot air to flow more across the whole roast. All that said, we typically just do as the directions indicate, put the rack of lamb on a foil lined roasting pan. First time making Rack of Lamb. I mostly followed the recipe in terms of ingredients, but did not double-pepper (it calls for pepper while marinading and when prepping for the oven). Since only one other reviewer mentioned it, I will mention that I found the times to be way off. I used 15 min at 450 and almost 30 minutes at 300 to get it to 133 internal temp. I had a 8-rib rack and let it sit outside the fridge for over 2 hours. However, I am certain this was not long enough since when I stuck a meat thermometer 1/3 into the length of the rack after 10 min at 450, it only read 66 deg! Not sure I am a fan of ROL though due to the fat cap, which I did not eat so it meant loss of the herbs and the value of the cut at $19/lb for mostly bones and fat. My guests raved about it though! Made this for the first time tonight for family Christmas eve dinner. I used thyme as my herb instead and a bit of (1/2 tbsp) soy sauce to help brown the top. Definitely slit the fatty area and then applied the soy sauce. Turned out beautifully on the outisde pieces but had to put it back in for the middle peices. Went with the high for 450 d at 10 min. and 300 d. for 20 min. Most of family likes it med rare but the flavor was wonderful. Will make again with the rosemary next time and my husband can’t wait. This is the absolute easiest recipe for rack of lamb. Me personally, I don’t like it. My fiancé, well that’s a whole different ball game. He LOVES rack of lamb. Especially when I use this recipe. ELISE, thank you! Made this tonight for dinner have never tasted lamb like it . Next time I would cook it less than I did but I am blaming my new cooker for this anyway it was delicious so there’s no more excuses from me . I have made this several times. I love the scoring idea, but agree with your previous reviewer that scoring first and rubbing in the herbs really gets the flavor into the meat. I also added fresh mint and oregano to the herb mixture. Fantastic! I have done this recipe in the oven, on a gas grill and on a pellet grill. 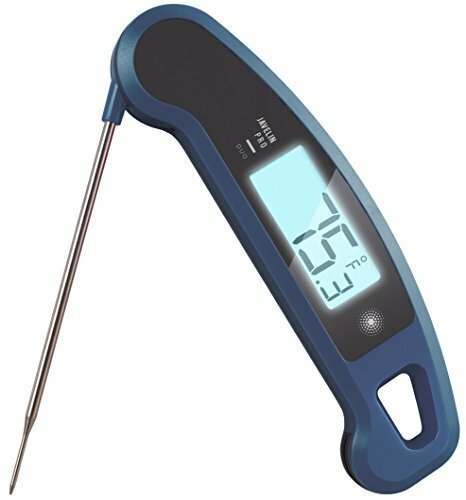 You may have to adjust the time to get the results you want but that is what meat thermometers are for. i scored the lamb before rubbing with herbs. i made sure that some of the rub went into the scores. the herb flavors really penetrated the lamb. i also used 1 tablespoon olive oil, 2 teaspoons sesame oil, and 1 teaspoon hot chili oil instead of olive oil only. i compromised by marinating in the frig for 2 hours, then on the kitchen counter. for 2 hours. otherwise, followed the recipe exactly. I doubt that photo of browned meat was produced following these instructions. We did, and our lamb was insipid and undercooked looking on the outside. Good on the inside. But we had to crank it up and add 10 more minutes bring ours to life, if only slightly. Potato was not well cooked. Went in par boiled, so sure, they were soft inside, but pale and weak on the outside. The seasoning was good, but unless you eat the fat or chew the bones, you don’t actually taste it with the meat. I’d recommend cutting the rack into sections of 3 chops and seasoning all surfaces of each section, then slicing and serving off each of those. Hi Damian, I assure you the lamb photo’ed is the one I made using these instructions. Every oven works a little differently though, and perhaps your oven just requires a higher heat setting. When my mother upgraded her oven she had to completely redo her recipes to work in it. All of her recipes required a higher heat on her new oven than the original recipe called for. Finally, I don’t understand your comment about potatoes as there are no potatoes mentioned in the introduction or the recipe. Once I found a pan that could be put into the oven, then found a rack to place the lamb onto, I put all the ingredients together and brushed this onto the rack. The whole house smelled delicious. The lamb was delicious. This recipe is perfect for me; an uninspired cook. My mother wouldn’t let me into the kitchen with the exception of washing the dinner dishes. Thank you very much. Great, easy recipe, and it was delicious thank you! I have made several rack of recipes from the internet. This was definitely the easiest and equally as tasty as the others! Mine completely burned :( I think it was done after the first 10 minutes at 450 but decided to do the second 300F part too because I am not a great chef and recipes are mostly right. After another 6 minutes at 300 the meat had completely hardened and smelled like crap. Bought pizza as a comfort food but still a bit sad inside lol. Just made this. My husband loves lamb but I’ve never made it because I am a vegetarian. I decided I try making this to surprise him. It turned out perfectly! Perfect directions easy enough for a clueless vegetarian to follow! My husband licked the bones clean. Thank you so much!!! Followed recipe exactly and marinated overnight. It is an awesome meal! I made this for dinner tonite.. It was delicious! Lamb is not my husbands favorite and he thoroughly enjoyed it. The spices were perfect….I will be making this recipe again.